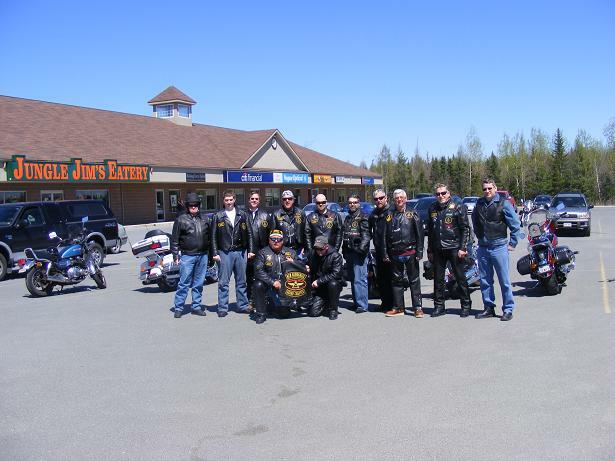 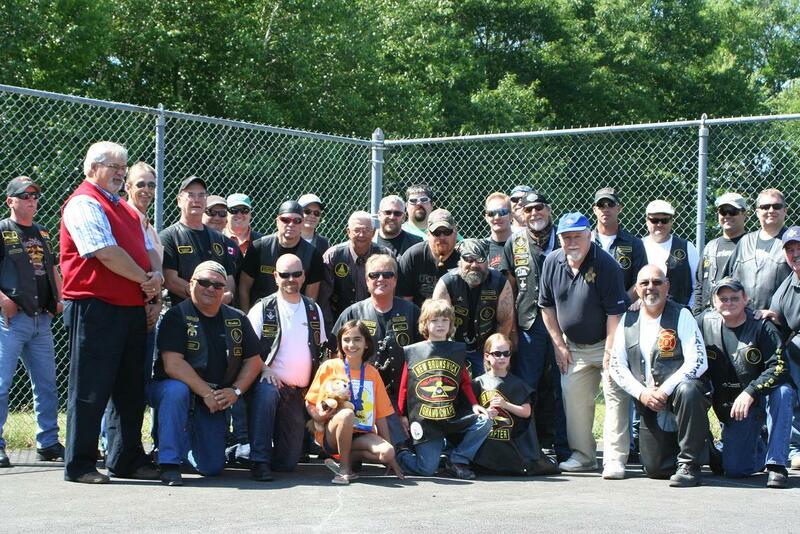 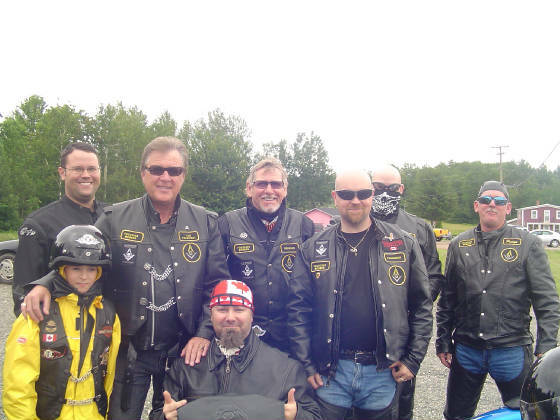 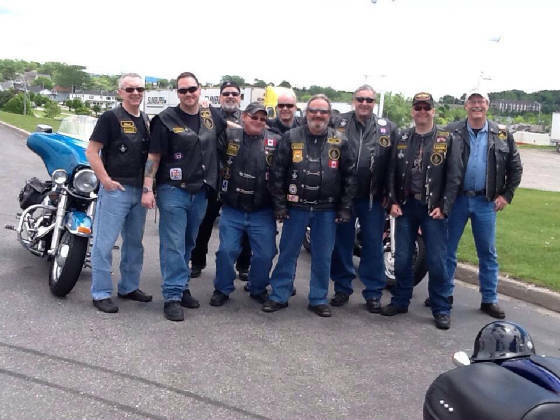 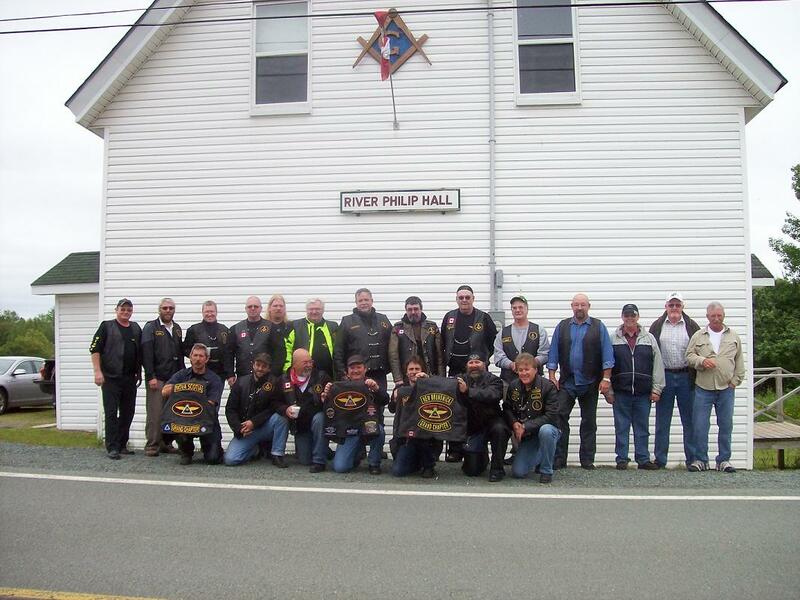 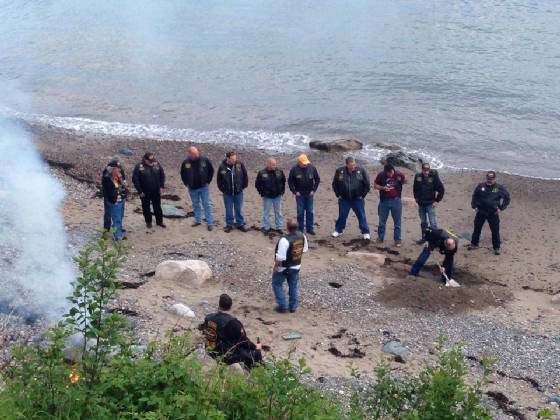 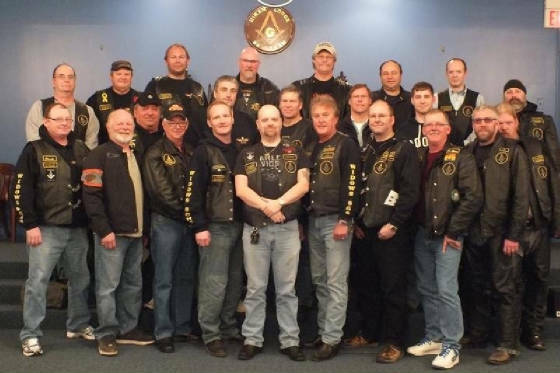 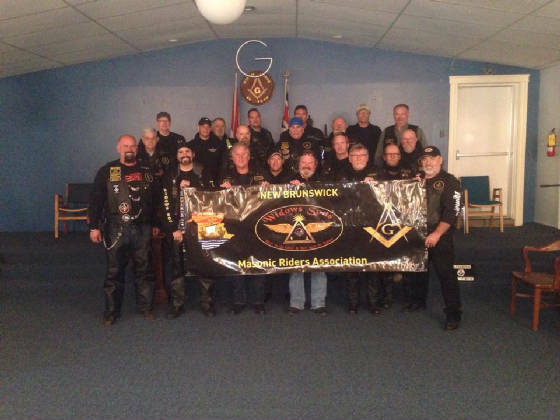 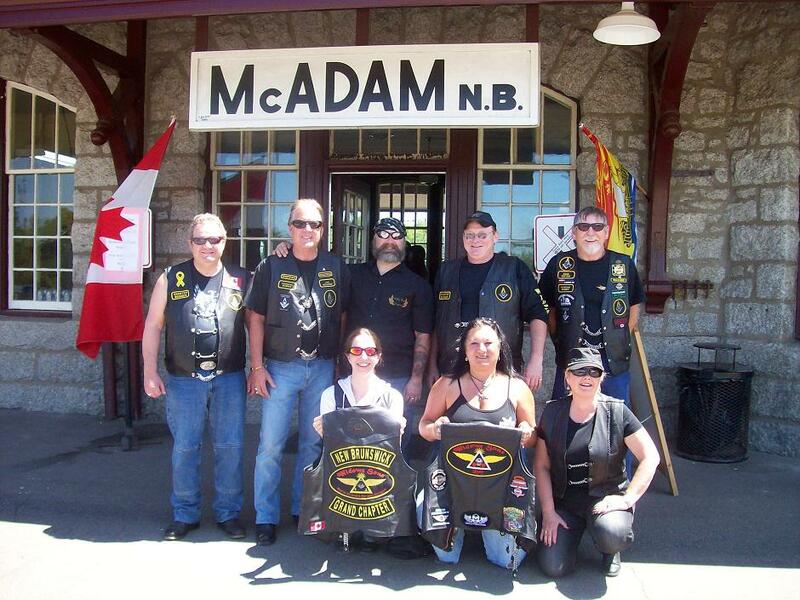 June 2014 - Brothers from Saint John, Moncton and Woodstock ready to head to Pocologan for the Branding Ceremony. 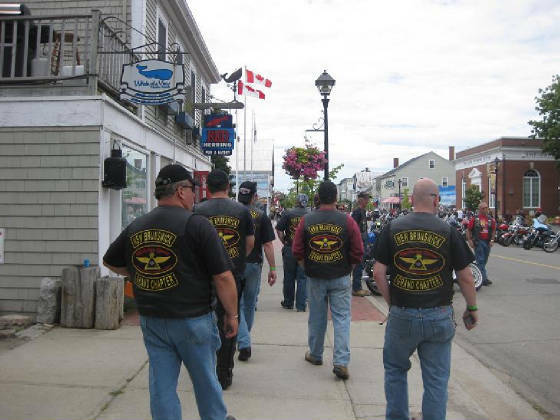 Widows Sons NB strolling down Water Street. 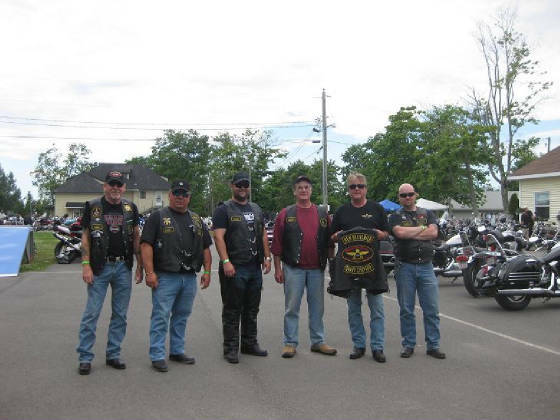 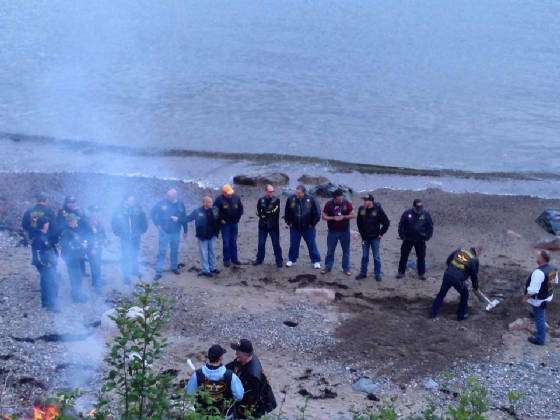 L-R: Dave, Rick, Jonathan, Sandy, Kent, John R.
Back: John R, Dave, Kent. 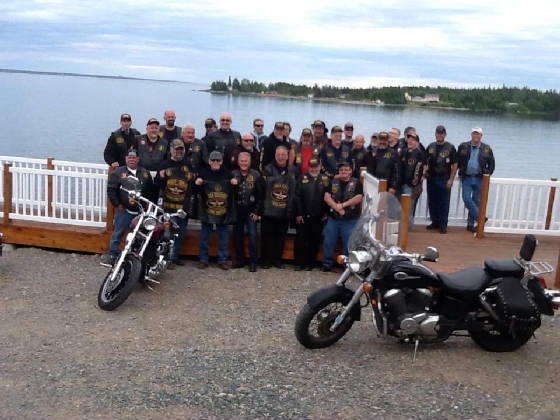 Front: Fred, Terry. 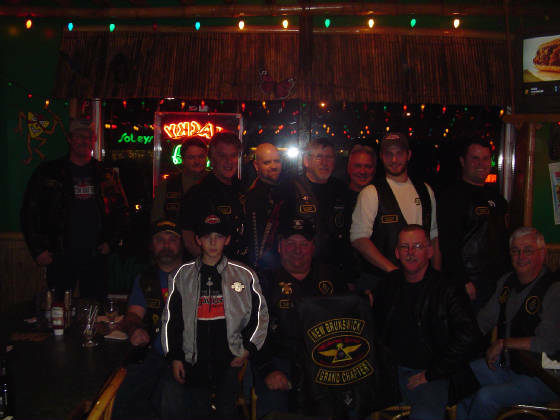 Dec. 4/09 Meeting - Back L-R: Mike, Glenn, Kent, John R, Dave, Ross, Brent, Jonathan. 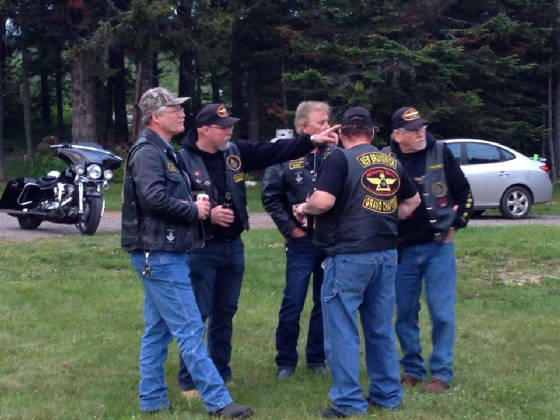 Front L-R: Mark, Lil Mikey, Rick, Terry, John J.